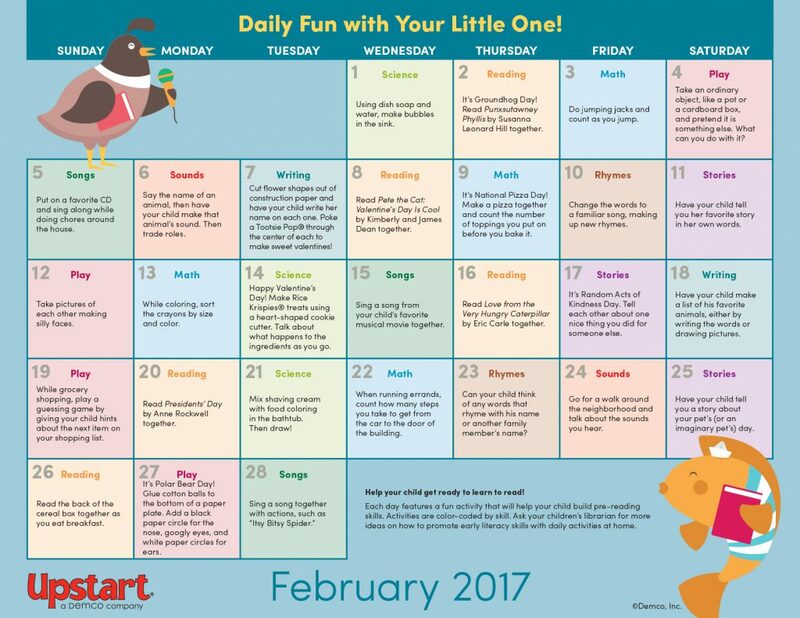 Parents will fall in love with these simple early literacy activities they can do with their little ones at home every day. February is filled to the brim with activities and books inspired by Valentine’s Day as well as special days like Polar Bear Day and Random Acts of Kindness Day. Spread the love! 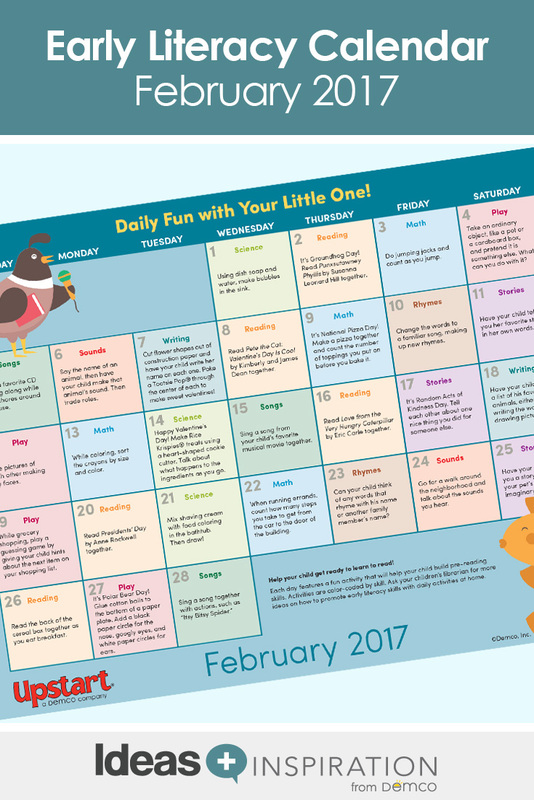 Download the February Daily Fun With Your Little One calendar. Is it possible that the Activity Calendars can be translated into Spanish and posted on the site also? Having the calendar available in Spanish is a good suggestion. We’ll consider it in the future, but do not currently have plans to offer the calendars in other languages.